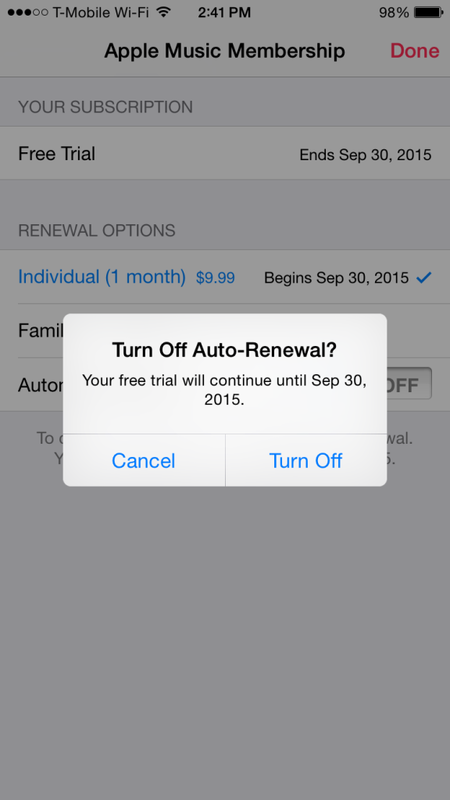 Apple Music comes with a free 3 months trial and auto-renewal is enabled by default. After 3 months of trial, you will be billed every month @ $9.99 in case of an individual and $14.99 for family. 3 months is a very generous period to try out a service and if you don’t like the service or don’t use the service as often as you’d like to, it is best to turn-off the auto-renew feature and turn if on when you’re sure you want to continue with the same. Note that turning off Apple Music subscription is different than turning off Apple Music. Click here on how to turn off Apple Music. That’s it, now you can enjoy your three month free trial without worrying about getting charged for a service you might not end up even using.